Today is the first day that feels like summer. 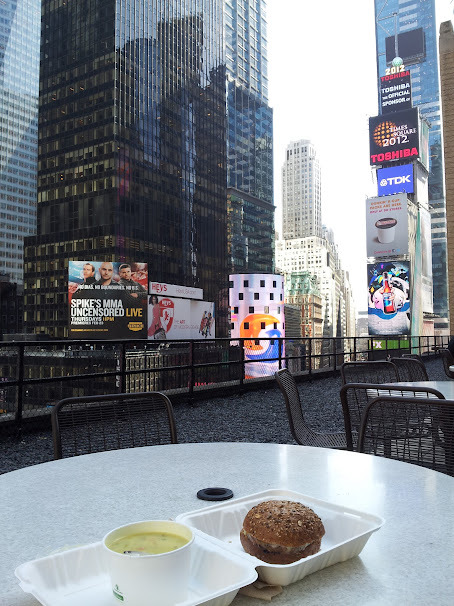 So I seized the moment and took my potato-leek soup and veggie burger out to the office cafeteria terrace (7th floor overlooking Times Square). Pure delight!